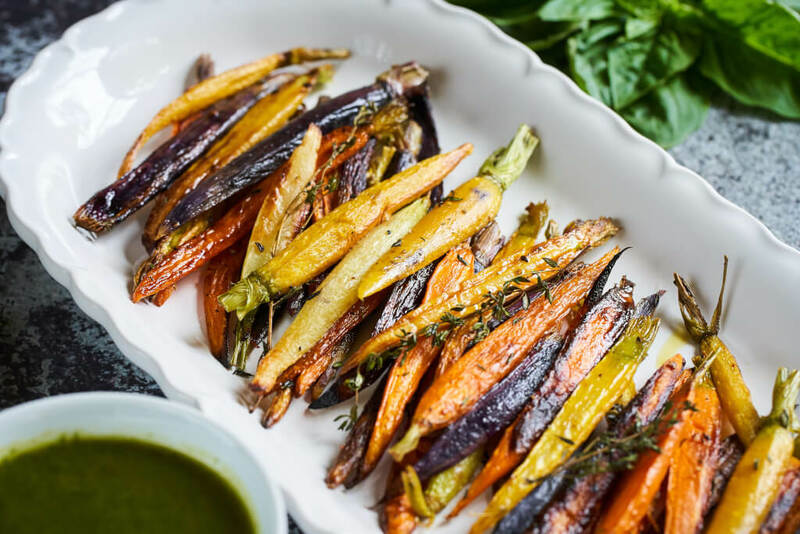 Taste the rainbow takes on a whole new meaning thanks to Harvest Sensations Rainbow Carrots. Instead of Skittles, multi-colored stalks of carrots align with leafy tops—deep purple, magenta, traditional orange, and lemon yellow. 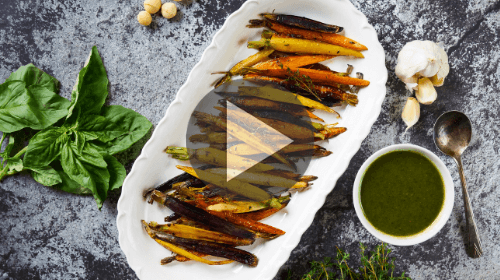 If you believe every sensational meal begins with sensational ingredients, like Harvest Sensations does, let this recipe guide you to a veggie romance. Orange: Beta and alpha carotene pigment promotes vitamin A production by the body, which is essential for healthy eyes. Purple: Anthocyanin, beta, and alpha carotene pigment may provide additional vitamin A to prevent heart disease. Red: Lycopene—the same pigment that gives tomatoes their red color—is linked to a lower risk of certain cancers, such as prostate. Yellow: Xanthophykks and lutein are both linked to cancer prevention and better eye health. For more health facts about carrots, check out our AZ Food Guide. Harvest Sensations produce is sourced locally and globally, distributing fresh, food safe, and delicious ingredients throughout North America. They provide a wide variety of conventional and organic core commodity and specialty items to meet a dynamic customer base. Give them a follow on Facebook and learn more about their seasonal products! TIP: Before removing pesto from your food processor, taste and adjust seasonings as needed. 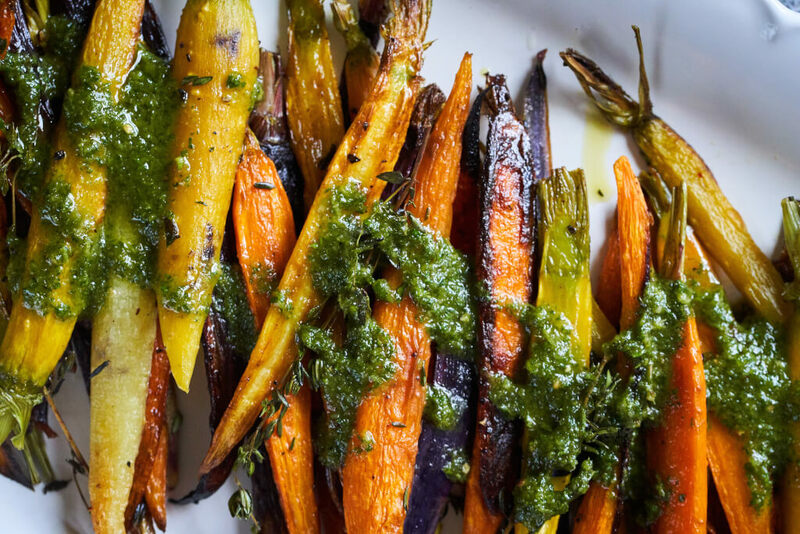 Remove tops from carrots and set aside for pesto. 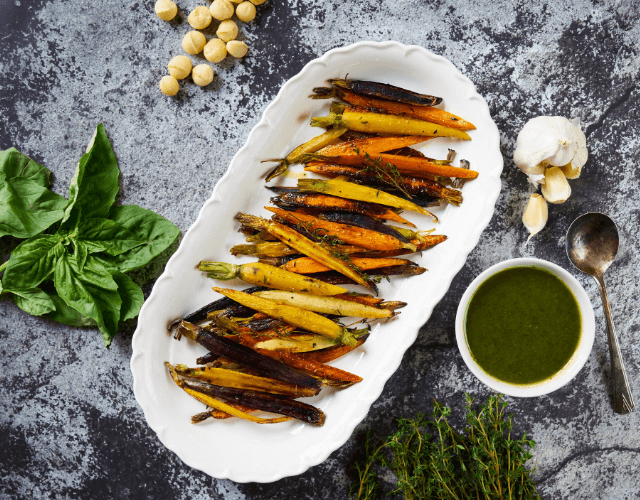 Add the carrots, garlic cloves, fresh thyme sprigs, salt and pepper to a baking sheet. Drizzle with olive oil and toss to coat completely. 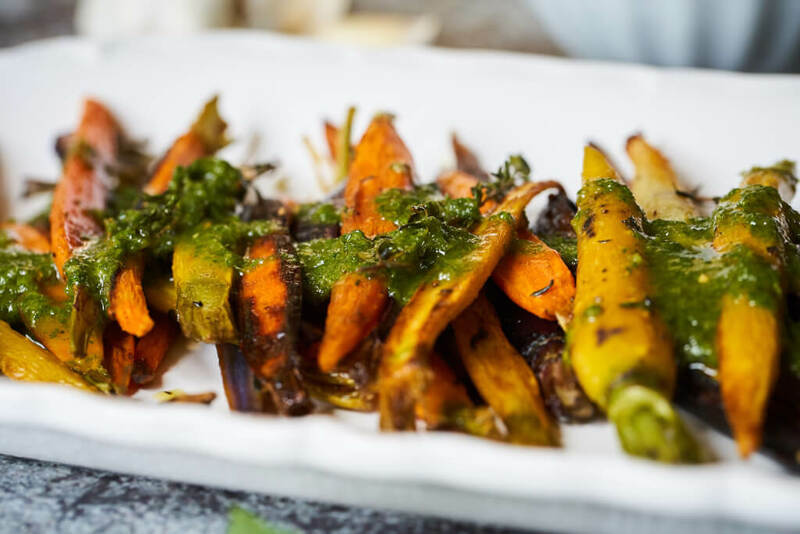 Once the garlic has roasted in the oven with the carrots (about fifteen minutes) remove from the oven and set aside for pesto. To a food processor add macadamia nuts and roasted garlic cloves and pulse until a paste forms. 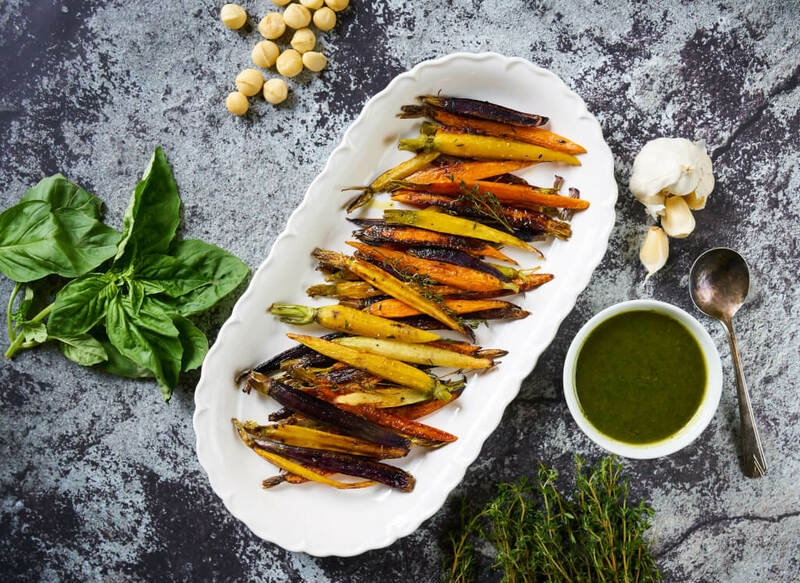 Add fresh basil, fresh carrots tops, salt and pepper to the food processor and while blending, slowly add the olive oil.